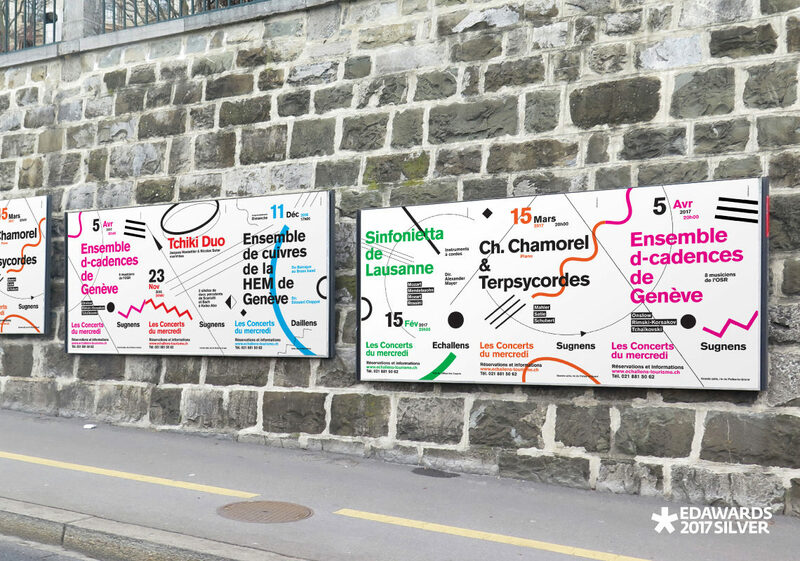 Visual Identity for «les Concerts du mercredi» 2016-17, Vaud. 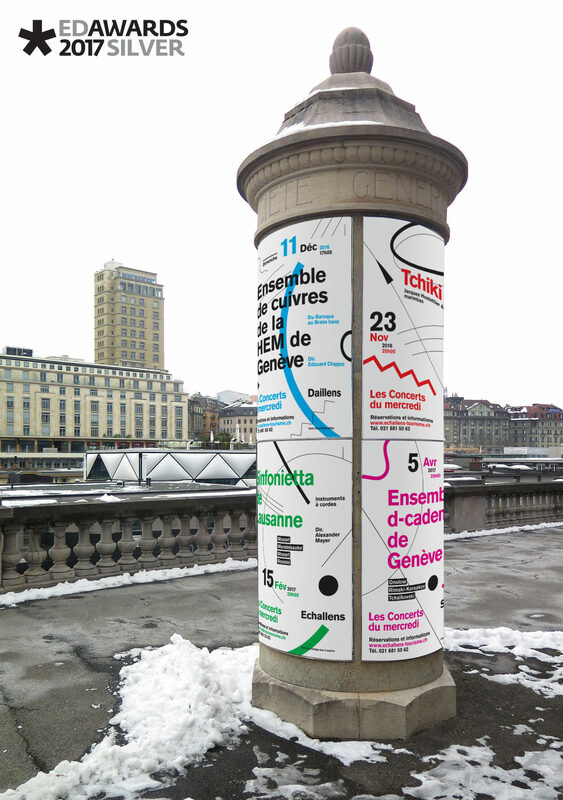 Les Concerts du mercredi offer live classical music to an eclectic audience from all background. 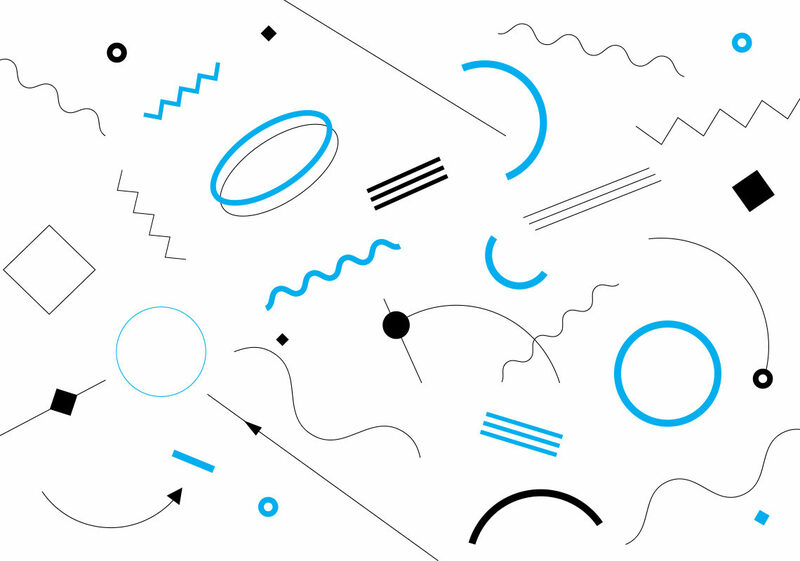 We chose to interpret classical music from a perspective that gives up all representation of the object or figure. 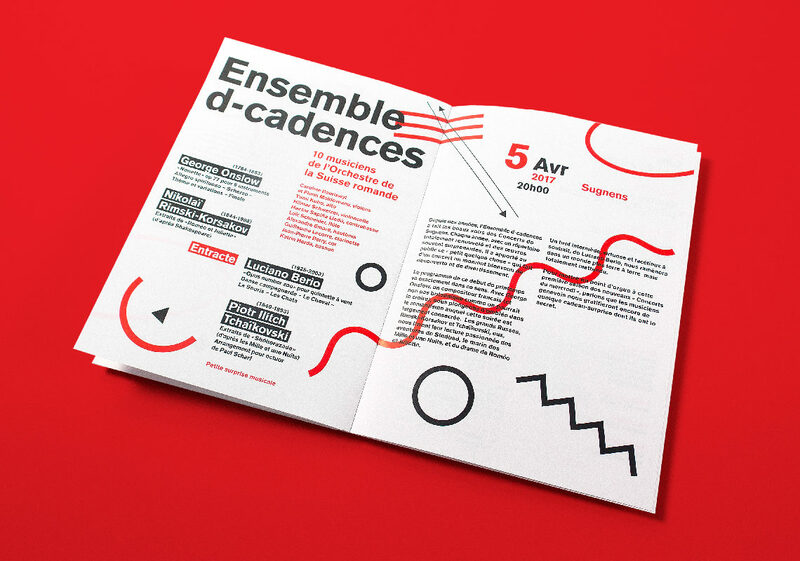 Compositions were organized in the form of a speech, oscillating between meticulousness and balance on one hand, exuberance and impetuosity on the other. 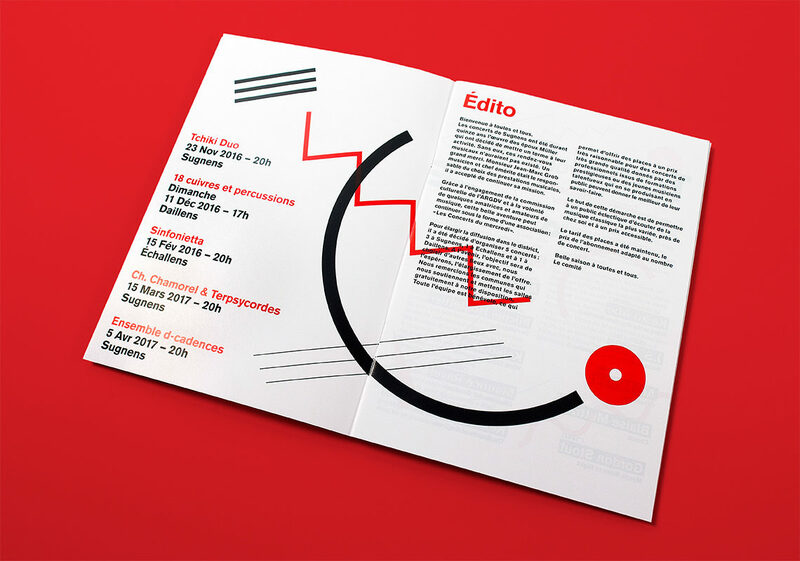 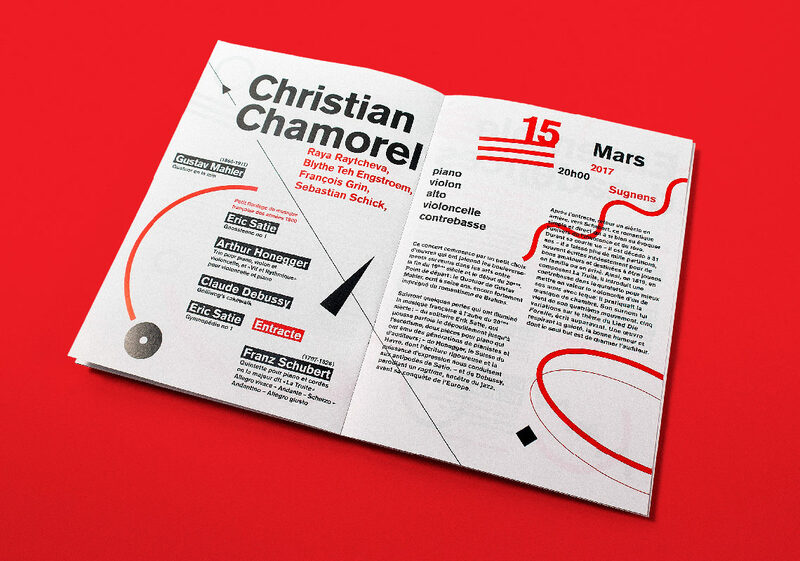 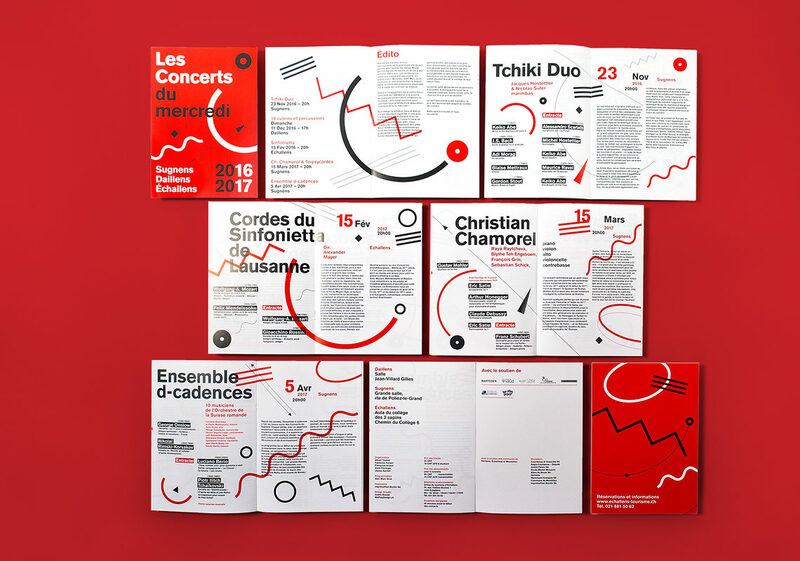 The Poster Series of «les Concerts du mercredi» 2016-17 was awarded by the European Design Awards 2017 and nominated by the German Design Award 2017. 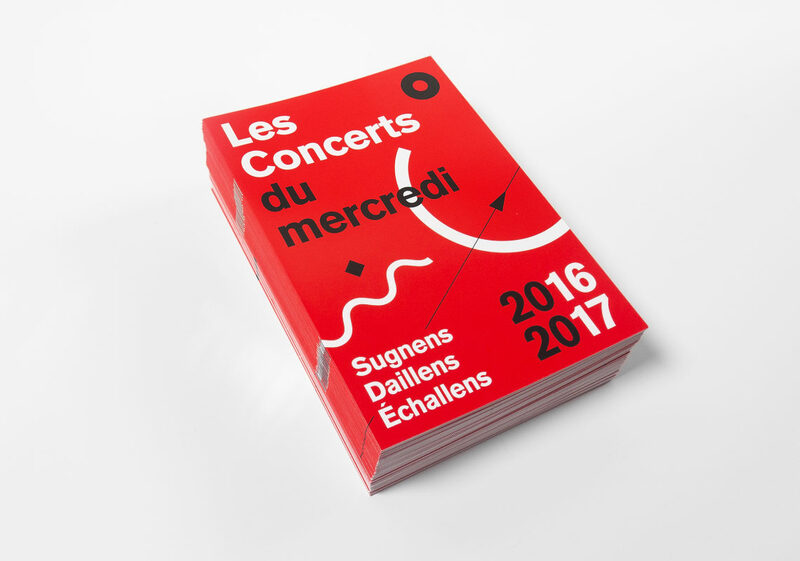 The catalogue of «les Concerts du mercredi» 2016-17 was awarded by the International Design Awards, Los Angeles.